* canvas print printed at hi-res on quality thick artist premium canvas with extra mirrored border. * canvas stretched professionally over sturdy wooden stretcher fir frame which is kiln dried. * each panel wrapped around sides resulting in a top quality 3-D effect interior decor art work and hook attached. * each print panel put into a plastic bag and then put into solid master carton for shipping. Perfect choice for home decoration idea or gift for relative and friends. Choose a wonderful canvas artwork which your friends and family will admire for years. A wonderful framed canvas art to hang in living room, bedroom or kitchen. The perfect apartment wall decor for any room you want to brighten up such as living area, office, or waiting area. High definition prints on premium artistic canvas, by using a high quality mirrored gallery wrapping technique which extends the picture all the way around the wooden frame. This creates an immersive 3D effect and makes the printed artwork look great without adding an expensive additional frame. And metal hanging hook(s) already nailed on frame the canvas art is ready to hang out of the box. 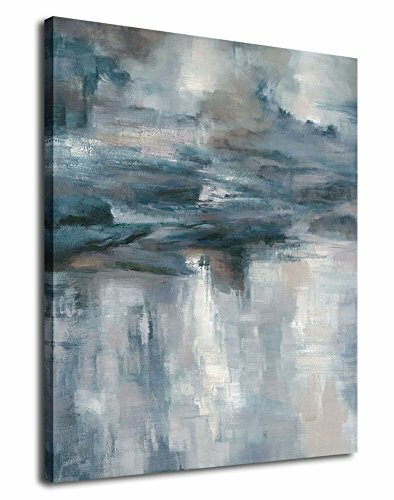 Usually this abstract canvas art is dispatched in 4 business days and arrives in 2 weeks. Each canvas panel that we ship is handled with care, packed well in a solid cardboard box, and wrapped with plastic bag to hold it stable and avoid shipment damage. If this abstract canvas prints arrives damaged for some reasons, we will replace or refund it. If you are not satisfied and wanna return the artwork for whatever reasons in 30 days of receipt, we accept it and return your payment. Due to different monitors, actual wall art canvas prints colors may be slightly different from the product picture shown online. If you have any questions about this product by yearainn, contact us by completing and submitting the form below. If you are looking for a specif part number, please include it with your message.